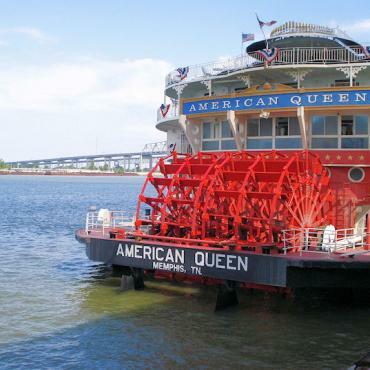 Step back in time on a grand journey along the mighty rivers that serve as America’s natural highways aboard the steam powered paddlewheelers American Queen, American Empress, American Duchess and the American Countess. Along the way you’ll discover a side to America that few see, exploring the history, heritage and culture of charming riverside towns such as Natchez and Vicksburg as well as the must-see cities of Memphis and New Orleans. With grand staterooms, modern amenities, multiple dining options, authentic showboat-style entertainment, American Queen offers a distinctive holiday experience. Savings are now available on the American Queen, American Empress, American Duchess and American Countess voyages, please do call for further details on (0800) 316 3012. The lower stretch of the Mississippi, from carefree New Orleans to vibrant Memphis, is the river of legends. Ol' Man River has been celebrated in print, song and film for generations. Control of the Mississippi was the key strategic goal of the Civil War and even today is the lifeblood of commerce in the Old South. This is the river of centuries-old shaded oak trees, elegant antebellum plantations, cobblestone streets and Victorian mansions. Hear the river's music in blues, jazz, zydeco and rock 'n' roll and savour its diversity with a host of distinctive Creole and Cajun culinary delights. The upper reaches of the Mississippi River from dynamic St. Louis to the twin cities of Minneapolis and St. Paul are rich with frontier tales of fur traders and pioneers set among picturesque scenery and endless wildlife. Hidden gems around each bend of the river fuel your sense of discovery as the very best of America's Heartland unfolds before you. 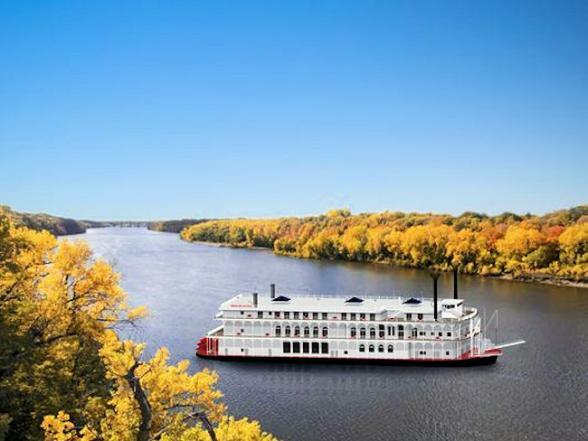 Launched in June 2017, the all-suite American Duchess is the the first boutique paddlewheeler, boasting the largest accommodation on the Mississippi. American Duchess will follow the itineraries of her sister boat, the American Queen, as well as offering shorter round-trip cruises from Nashville and New Orleans. A first on any US river, American Duchess offers just 83 cabins including four elite Loft Suites. This luxurious and spacious bi-level accommodation comes complete with your own River Butler, private balcony, two full size bathrooms and access to exclusive Commodore Services. These include unpacking and hanging clothes, laundry services and afternoon high tea served in your suite. Your breakfast and dinner can also be served on your private balcony upon request. Majestic, unspoiled and unimaginably glorious, welcome to the Pacific Northwest. On American Empress you'll discover a land where little has changed as you cruise gently along the Columbia and Snake Rivers. Enjoy the stunning scenery of this spectacular part of the USA as your voyage takes you past islands swirling in the morning mist, sweeping waterfalls and dramatic cliffs. 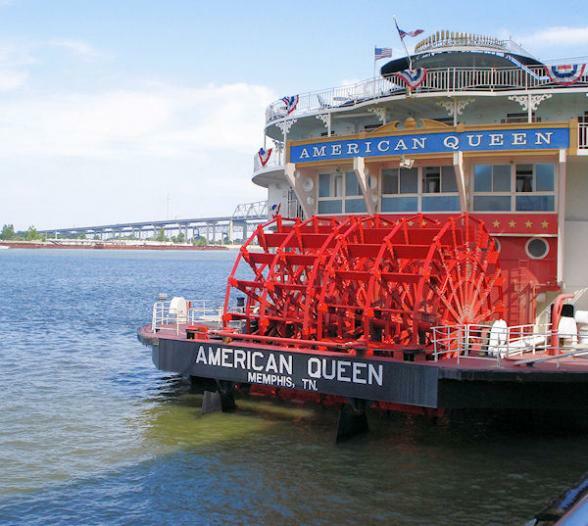 American Queen Steamboat Company’s fourth paddlewheeler, the American Countess, is due to launch on the Mississippi River early 2020. 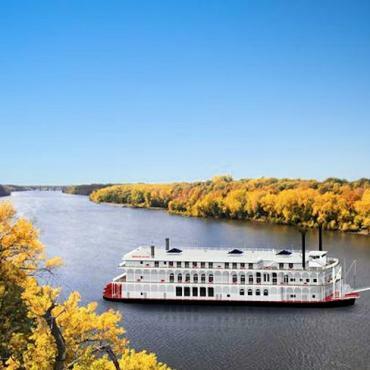 Built from an existing hull of a former gambling boat -the Kanesville Queen- and extended some 60 feet, the vessel has undergone significant reconstruction and will accommodate 245 passengers on cruises predominately on the lower Mississippi River. 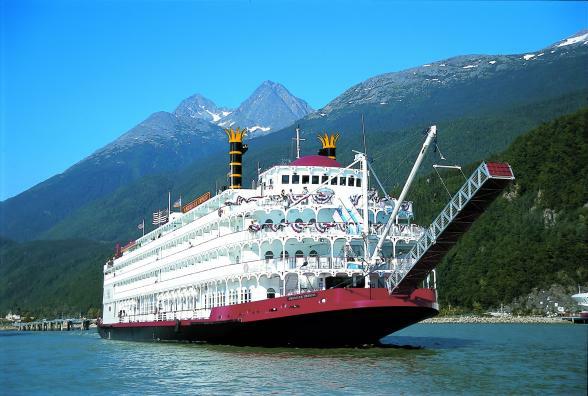 Offering itineraries from 6 to 15 days, its classical steamboat décor features over its four decks will offer travellers plenty of space to relax after enjoying the included shore excursions, as well as Broadway style showboat entertainment each evening. On the dining front, complimentary beer and wine are served with dinners onboard, which can be enjoyed in the main dining room. Breakfast, lunch and dinner are served in an open-seating environment, and the American Countess will feature a separate speciality dining venue like the rest of her sister paddlewheelers.. Please call to discuss your river adventure. The Bon Voyage Team have firsthand knowledge having visited American Queen and sailed on Empress. We'd love to help you create a steamboat holiday. 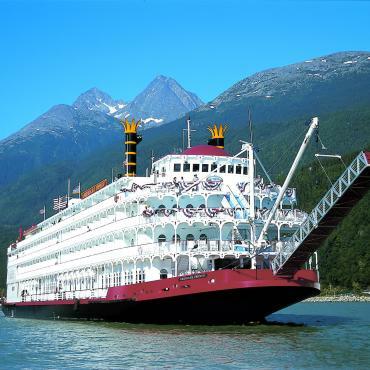 To receive a copy of the American Queen Steamboat Company brochure - click here. We'll also sign you up to receive news and appropriate offers throughout the year. Read all about acclaimed British travel writer, Nick Dalton's American Queen experience.